Often in the past, when I have told parishioners that I am going to Rome, they have asked me "Are you staying at the Vatican?" I have answered avuncularly that it is not possible to stay at the Vatican itself but that I will be staying at a priests' residence in Rome. 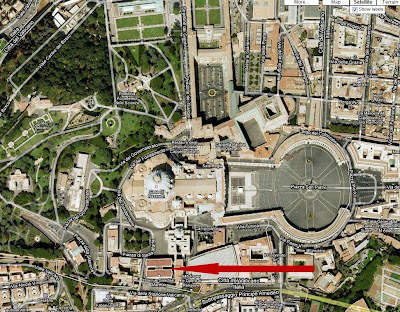 Tomorrow, however, I will indeed be staying at the Vatican: the Domus Sanctae Marthae which was built in 1996 to provide accommodation for the Cardinals who are taking part in a conclave. 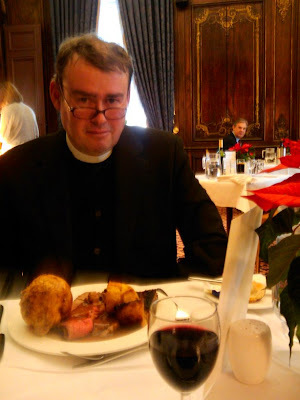 Fr Briggs and I will be flying from Heathrow T5 tomorrow to take part in the Clergy Conference organised by the Australian and American Confraternities of Catholic Clergy. I am especially looking forward to the talk by Mgr Guido Marini and the Pontifical Mass in the extraordinary form celebrated by Cardinal Canizares Llovera, although the whole of the programme is of great interest. We will both be bringing large, half-empty suitcases since we intend to do some shopping for clerical "gaaaarb". My parishioners have been very generous in the Christmas offering so I will be getting myself a "Greca" (clerical cassock-length overcoat) and one or two other goodies.